I used $700 in new capital and added $27.22/year to my dividend income. This is an average yield of 3.9%. I am pretty comfortable with my large position in ESV and energy in general (currently 20%). If I do average down further, it will likely be in very small pieces. I’ve also sold several puts that if assigned would lower my basis further. All of the drillers could be under pressure for a while. I’ve mentioned why I like AWR before and I’m trying to slowly increase my weight there. Water is a resource that will stay in high demand. I also like this company as a defensive stock in a market downturn. I added a small amount to MDT. It’s below an average weight and I’d like to bring up my weight in the medical sector in general. Both BDX and MDT are due for some additions to. 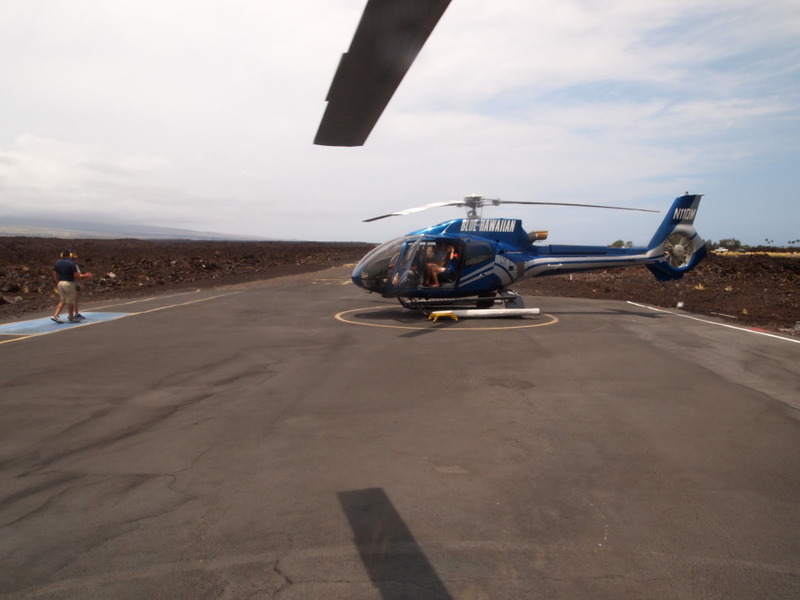 This is a picture of the helicopter we rode in on the scenic waterfall tour in Hawai’i. We originally wanted to see the volcanoes but the weather was too bad on the eastern side of the island. I hadn’t really made a large purchase for the month of September but decided to split some funds with two different companies that I already own. The first company is a 52-billion dollar consumer products behemoth, UL. They yield a very nice 3.7%. I buy UL instead of UN to avoid any withholding taxes due to the treaty the U.S has with the UK. I’ve been consistently adding to UL and decided I’d go ahead and bring it up to at least a full weight in my portfolio. UL is also a little below my cost basis which is even more of a reason I decided to add more shares. So I bought 100 UL @ $41.85/share. For my second purchase I turned to the energy sector. This stock is caught up in a perfect storm of bad conditions. These include lower gas prices, smaller CAPEX spending and a larger supply of rigs in the market. These three factors are wreaking havoc on the entire drilling industry. To me, ESV stands out. They have the lowest debt ratio (D/E) among peers and have one of the youngest average fleet ages, just behind Seadrill (SDRL). 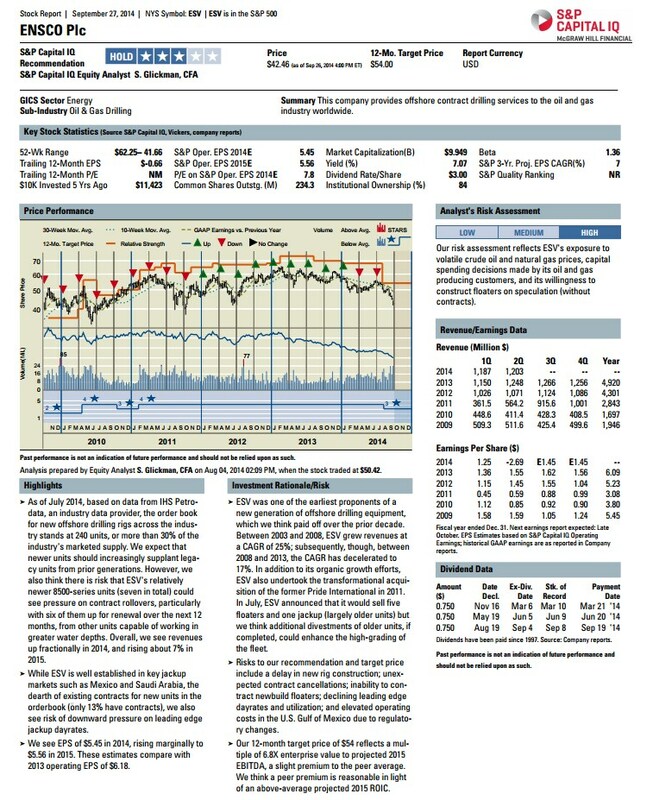 I see weakness into mid next year at least but this stock is trading at a forward P/E of only 6.8 based on a projected EPS of 5.56 by S&P Capital IQ below. This could be a good value play. So I bought 76 Shares of ESV @ $38.92/share which reduced my basis down several dollars per share. My short-term plan is to build up to a 500 share position as long as I can keep averaging down. I do have some puts I sold which are way in the red. I hope to be able to roll at least the Dec. expiration forward before the end of the year. I’ve even thought of possibly buying a put to hedge my bets in case the price keeps going lower. I’ll let you know if I decide on doing that. Here’s a look at ESV versus some of their competitors. I think they have held up quite well considering how bad the whole sector is getting hit. At this point, buying any more ESV is considered speculative. They don’t make up a giant part of my portfolio at a 4.55% weight but that’s still well overweight from an average position size of 2.5%. If you look at the dividend weight, it’s even more skewed. ESV now makes up a whopping 9.13% of my dividend income! A cut in their dividend could be a huge hit to my forward income and that’s obviously something I need to consider going forward. 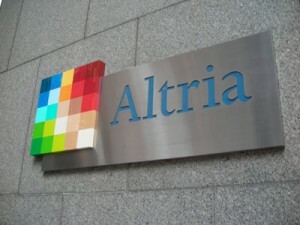 I still believe in the management of the company and believe this company will rebound by 2016. I don’t mind collecting the large dividend while I wait and sitting on an unrealized loss. I used $700 in new capital and added $27.68/year to my dividend income. This is an average yield of 4%. I still keep averaging down on small purchases of ESV. I can see this stock depressed until mid 2015 when earnings may get raised for 2016. Of course, a rebound in oil prices could driver the stock back up too. There’s still uncertainty but that’s why the stock is yielding 7.5% currently. I’ve mentioned why I like AWR before and I’m trying to slowly increase my weight there. Water is a resource that will stay in high demand. I added a small purchase of UL. I’ve recently added a much larger purchase of this company that I’ll mention soon. So I’ll likely be sitting comfortable with my current allocation for a while. This is another picture from the beautiful island of Hawai’i on my recent trip. 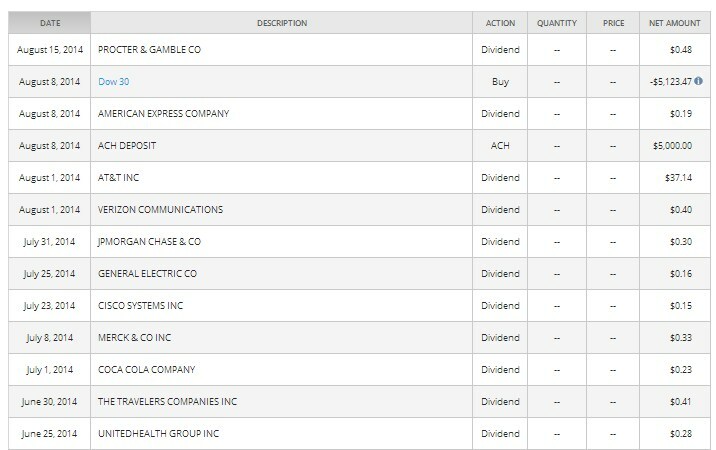 I used $700 in new capital and added $28/year to my dividend income. This is an average yield of 4%. Shares of ESV continue to go lower. Is this a case of catching a falling knife? Well, I don’t think so. I don’t mind waiting a couple of years for this sector to correct as long as I have faith in the management. This is another picture from Hawaii. 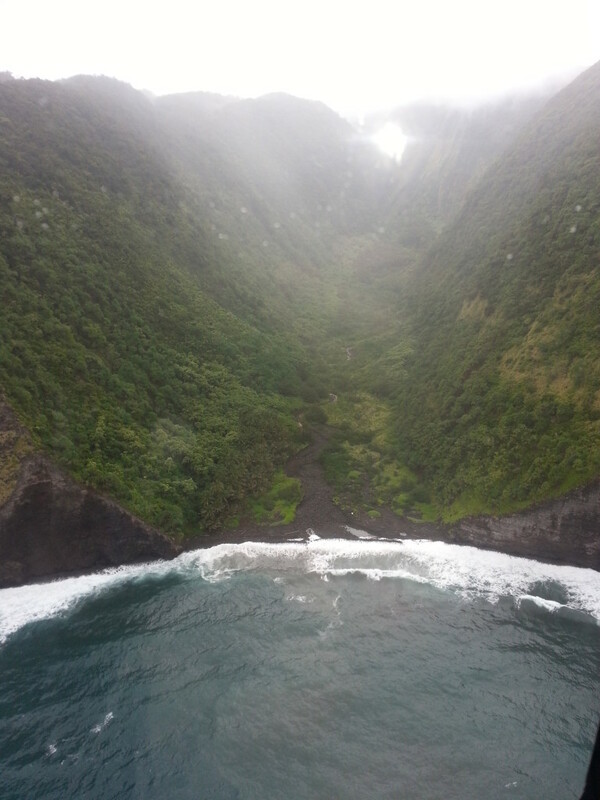 It’s on the Big Island during our helicopter tour. 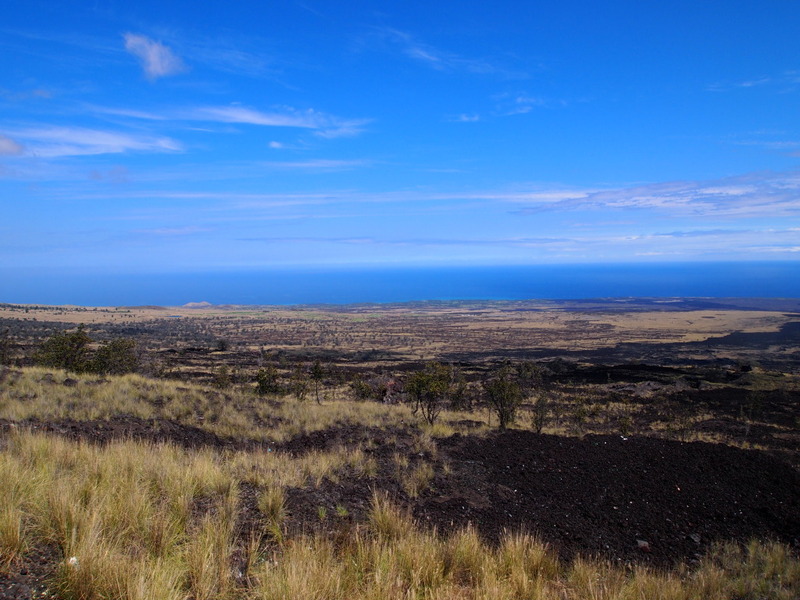 You can see some of the resorts and also the lava rocks. I used $650 in new capital and added $26/year to my dividend income. This is an average yield of 4%. Shares of ESV continue to get hit with the rest of the drillers. Forward P/E is approaching 7 and yield is also approaching 7%. That’s too good for me to pass up. Value play? DE is also just below my cost basis, I still love this cyclical company long-term, and will continue to average down while I can. 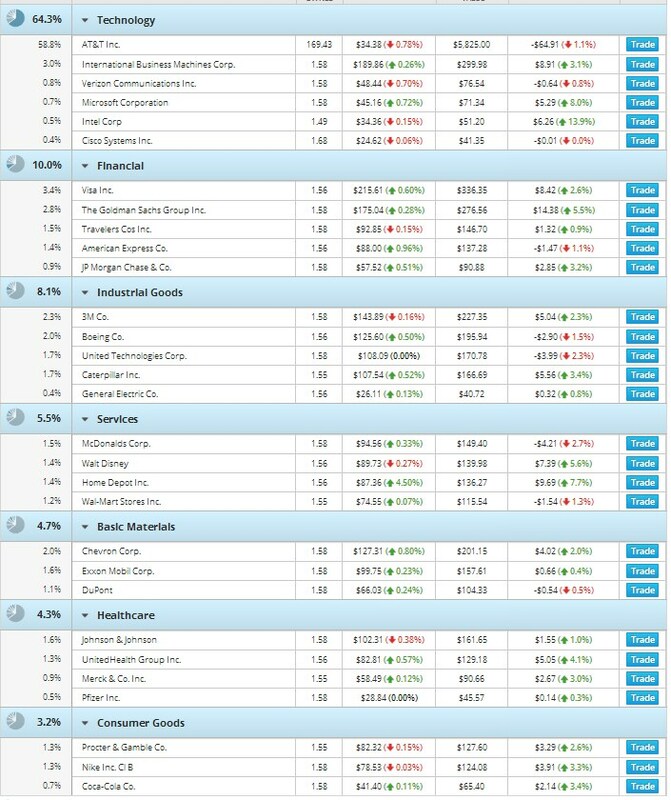 I used $1400 in new capital and added $77/year to my dividend income. This is an average yield of 5.5%. I’ve been busy and didn’t realize I hadn’t posted my purchase last week. 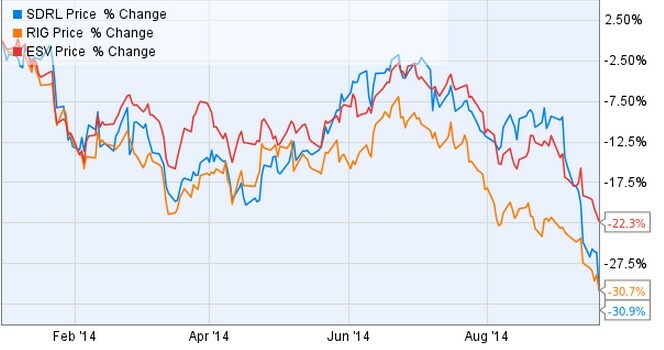 I’m still finding a lot of value in the energy sector lately. BP has taken a hit recently after a ruling that they may owe a lot more in fines. I still view the company as a good long-term investment. I used the weakness to add shares this week. ESV is near a 52-week low and I picked up shares last week at a yield-on-cost of 6%. I know they will be under pressure with additional supply through next year but I believe this is just part of their cyclical industry and the price will end up rebounding in the long-run. I love the fact that they keep retiring old assets to keep their fleet new and competitive. 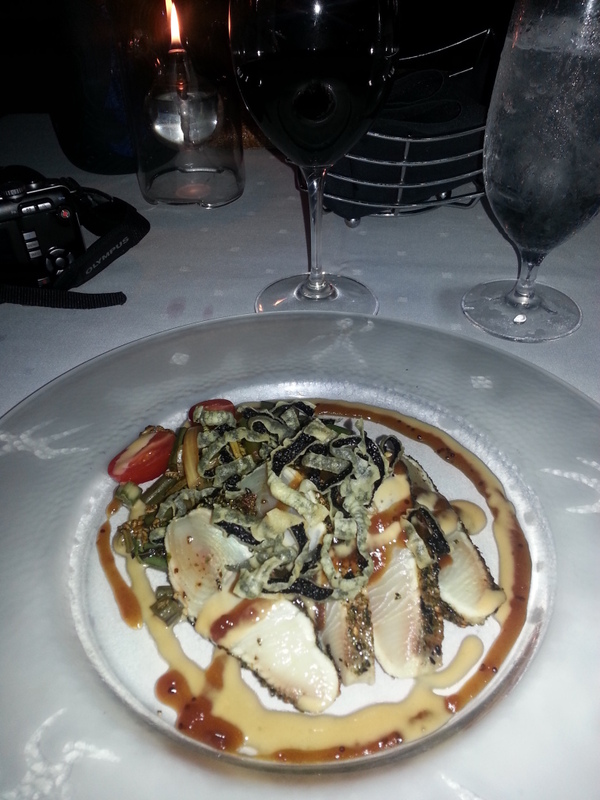 This is a picture from my recent trip to Hawai’i. 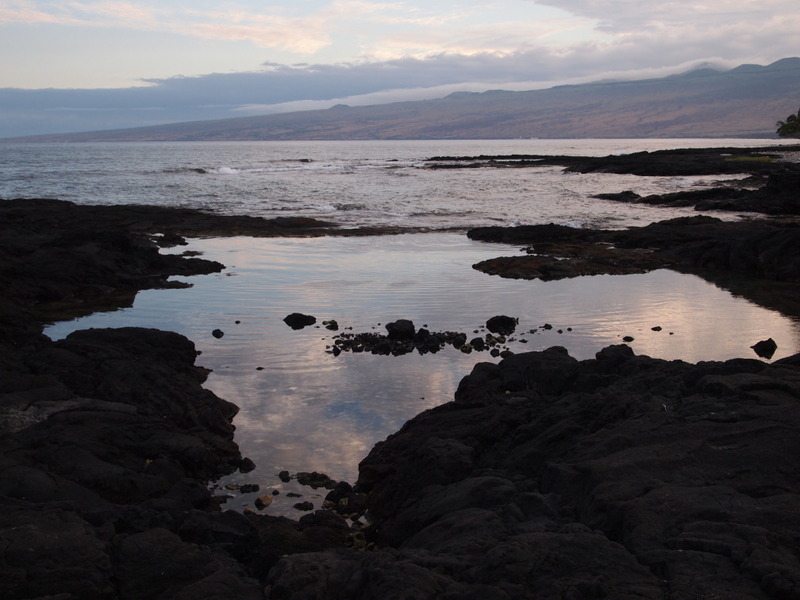 It was taken on The Big Island on the beach near our hotel. I used $2500 in new capital and added $92.11/year to my dividend income. This is an average yield of 3.68%. Large purchase this week. I had some extra capital I wanted to put to work before the end of the month. I added more MO before the ex-dividend date. They recently had a nice raise and I believe the company will continue rewarding shareholders for a long time. BBL is now a full position. Even with the “demerger” talks, I decided to add a little extra after the pullback. I think DE is at a great value and I’d like to bring it up closer to my position in CAT since I want these to end up being half positions. I recently added AWR last week. I plan to keep adding more while dollar-cost-averaging on this great company that’s been paying out higher dividends for 60 years! It’s nothing new that I keep building up a full position in UL. With a giant portfolio of well-known brands and 3.5% yield, what’s not to like! I’m getting closer to a full position. KMI is already a larger position of mine, possibly the largest. The recently announced news to consolidate into one company sent shares up quite a bit. I believe KMI still has great long-term growth going foward. I’m also more confident after Richard Kinder laid out his dividend plan for the next few years. This is a picture from my recent trip to Hawai’i. 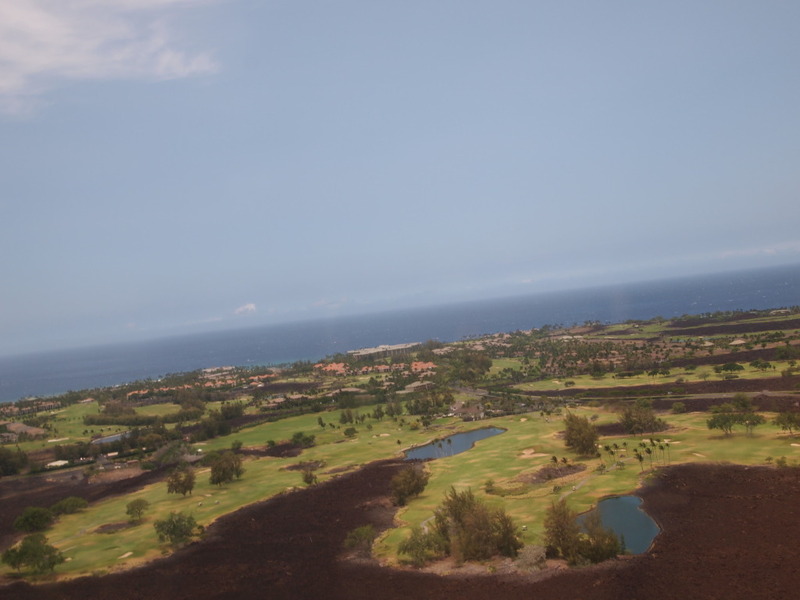 It was taken on The Big Island during a helicopter tour we took. I used $650 in new capital and added $19.02/year to my dividend income. This is an average yield of 2.9%. It’s nothing new that I keep building up a full position in UL. 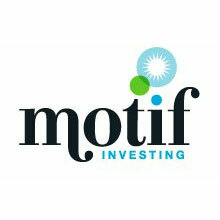 With a giant portfolio of well-known brands and 3.5% yield, what’s not to like! AWR is a new position for me. Did you know you can only live a few days without water? Water is a resource that is extremely valuable, possibly more valuable than oil. 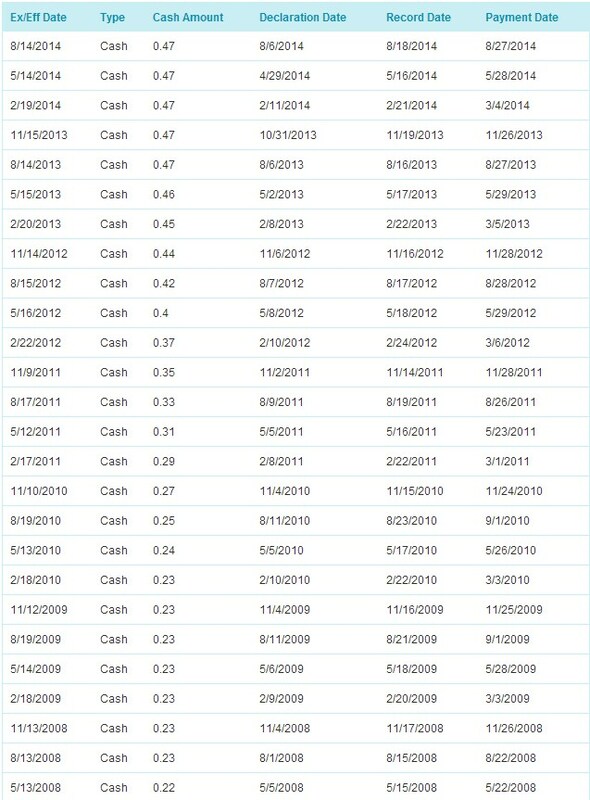 AWR has an amazing streak of dividends increases, 60 years in fact! I hope to keep building this position slowly over time up to a 2.5% weight. Recently, Income Surfer picked up shares. Another recent analysis of AWR is here. This is a picture from my recent trip to Hawai’i. It was taken on The Big Island next to our resort. 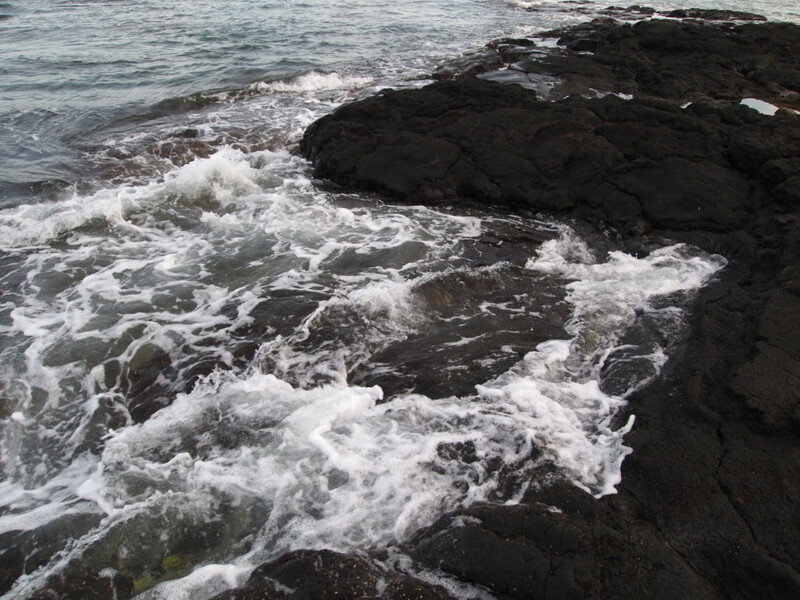 Most of the island is made up of these black volcanic rocks. They are everywhere on the west side of the island.